“And [Jesus] said to them, ‘On this account every scribe who has been made a disciple to the kingdom of heaven is like the steward of a household who is able to bring forth out of his storeroom new things and old things’”. Editors and publishers of biblical commentary series are in a bit of a bind. On the one hand, both advances in the scholarship offered by commentary authors and changes in the contexts, expectations, and needs of commentary readers mean that aging commentaries become dated. On the other hand, some commentaries offer enduring qualities and timeless insights that should not be set aside. So there is good reason to replace older commentaries, but there can also be good reason to keep them available. At Wm. B. Eerdmans, our way of both replacing older commentaries and retaining them is this collection that we call Eerdmans Classic Biblical Commentaries (ECBC). A flagship volume in the NICNT series for decades, Bruce’s acclaimed commentary on John is now the inaugural volume in the ECBC series. At Wm. B. Eerdmans, our way of both replacing older commentaries and retaining them is this collection that we call Eerdmans Classic Biblical Commentaries. Some volumes in this collection were originally published in major series such as New International Commentary on the New Testament, New International Commentary on the Old Testament, or New International Greek Testament Commentary. Others were published as freestanding books. Some were originally published many decades ago, others more recently. Some comment on the text in the original language, others on one or another standard English version or on the author’s own rendering. They were written for various levels of readers. What they all have in common is this: readers have found them helpful and so have continued to purchase them, study them, and cite them. When you select from this collection of commentaries, you are selecting books that hundreds and thousands of seminarians, pastors, professors, teachers, scholars, and other serious students of the Bible have used with profit for many years. We hope that they will serve you as well. May they enable you to be a steward who is able to bring forth both new things and old from your scholarly storeroom as you work with the scriptures of the New and Old Testaments. Purchase F.F. 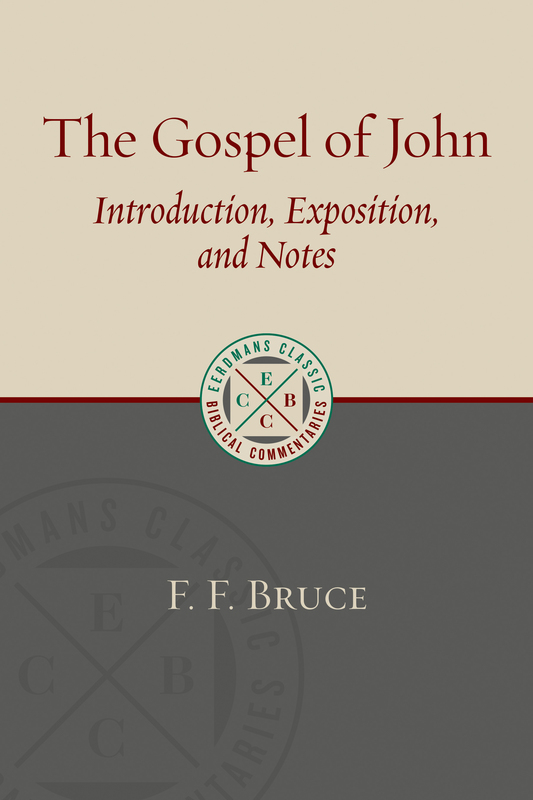 Bruce’s The Gospel of John and other volumes in the ECBC from Eerdmans.com, Amazon, Christianbook.com, or your local independent bookstore.